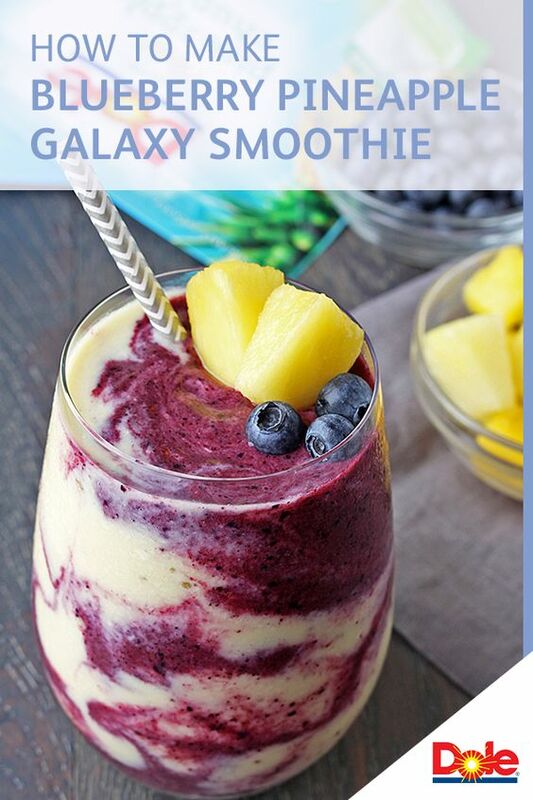 A layered smoothie that's out of this world. 1. Combine blueberries, 1 cup banana slices, 1/2 cup almond milk in blender. Cover; blend until smooth, scraping down sides if necessary. Transfer mixture to a bowl and clean blender. 2. Combine pineapple, remaining 1 cup banana slices, yogurt, coconut, and 2 tablespoons milk in blender. Cover; blend until smooth, scraping down sides if necessary.